A reader sent a DM (direct message on Twitter), today, to ask if I've had a peek at Summer of Lost and Found by Rebecca Behrens. It is due out on May 24, 2016. I haven't seen or heard of it. Thanks, S., for writing to ask me about it! As I read the synopsis, I sighed. Another story about Roanoke and the lost colonists. I get the fascination with it, but, frankly, would love to see major publishers (like Aladdin) give us books by Native writers! Whether they set their stories in the past or the present, at least teachers and librarians would be able to use present tense verbs to talk about the author and their nation. As it is, Summer of Lost and Found looks to be yet another story that presents Native peoples in the past, and a Native spirit or ghost like presence that makes life interesting for present day White characters. No surprise to see it being promoted by the author of Blue Birds. From the author of When Audrey Met Alice comes a sweeping middle grade novel about a city girl forced to spend her summer in North Carolina, where she becomes involved in a centuries-old mystery, turning her once boring vacation into an adventure she never could have imagined. Am I unfairly pre-judging this book? Some would say yes. If/when I get it, I'll be back with a review. But seriously... I'm not optimistic. There's plenty going on RIGHT THIS MINUTE that should make life interesting for White characters. That should move them from a place of ignorance about Native peoples, to one where they're motivated to do something about the many injustices that Native peoples face, today. Instead, it seems children's book publishing is... happy to keep giving us long-ago-far-away stories that don't unsettle the injustice of now. I'm new to homeschooling this year. Therefore I felt it was my responsibility to research appropriate books and curriculum for my child. This led me to your site, Reading While White and other sites that you link to on your web site. I also had been reading the School Library Journal before finding your site. I have been researching and reading these sites since Thanksgiving and the discussions around needing/wanting more diverse books. This (long) thought struck me today as I was reading your thoughts on this book: I am constantly reading these requests or communication from representatives from the publishing industry, librarians, general public (in the comments sections), some POC and First Nation individuals, but I never see any First Nation individuals saying they want to be authors or have a work that no one will publish. It made me wonder if part of the problem is that the people that "should" be writing these books actually have the desire to write these books or write period. Where are they? The focus is always on what should be published by whom, but it can't happen if no work is being produced. It is my understanding today that if someone truly wanted to publish a book it is easier today due to advances in the self-publishing industry. Also I have noticed over the years that when people notice a certain type of book is not being published, they will come together and form a niche publishing firm sometimes using their own money initially. They usually start out publishing one or two books a year. Anyone can start a web site and do so cheaply today. Where are the First Nation writers with their websites talking about their work and how they want to be published? I am not talking about the published ones, but unpublished people..
With all the bloggers and marketing people asking for diverse books, book publicity should be easier. With sites like Kickstarter and other funding sites, funding should be easier. Self-publishing availability-easier. I am not saying this is perfect or ideal or even fair, but if there truly is a desire for these books to be read and to be written, I personally want to read and hear about it by the authors (unpublished). I can't support what doesn't exist (or exists but is minimal). I guess what I'm saying is that I would like someone to start highlighting these authors-to-be. I understand trying to market the books that currently exist/are published, but if there isn't a writing/publishing pipeline for future writers, the success of your mission will be limited. 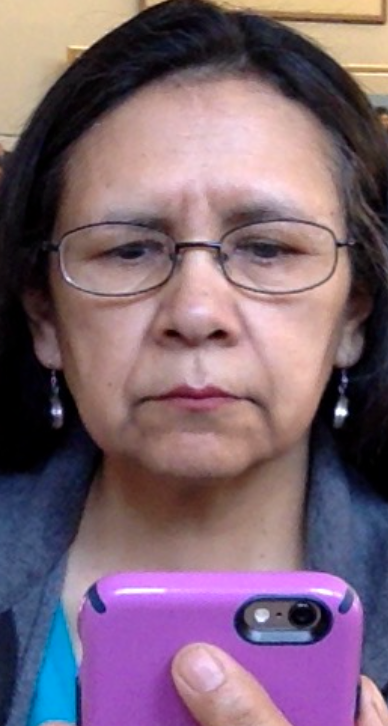 I understand your frustration about the lack of contemporary fiction with Native characters. Unfortunately, we don't know the answer to Anonymous 1's question aobut how many Native writers are out there trying to get published. And while Anonymous 1 is correct that it is easier to get a book out there through self-publishing, it is not that easy to get attention for one book of quality in a sea of books that may be bad or mediocre. Native writers should be encouraged and major publishers should be involved in finding those voices and helping them to reach an audience. I get frustrated with statistics about how many books are by non-dominant authors because there is a lack of information to put that in context, which is what I think Anonymous 1 may be pointing to. If we could see how many Native authors are seeking to be published, we'd have a better idea of whether their success rates are substantially different from those of dominant culture authors. If one of a hundred white authors gets published, and one of 200 Native authors get published, that might mean something. Of course, even then, we would have no idea about the quality of the writing. Maybe 99 of the white authors are writing schlock (however an individual reader defines that) and 150 of the 200 Native writers are writing excellent pieces. We just don't know. What we do know is that publishing needs to take responsibility for seeking out diverse voices and letting them be heard. I'm hearing a lot of talk about that, but talk is cheap, and I don't know what efforts are being made. Could publishers send representatives into Indian country and hold workshops and help Native authors to develop skills? (Every author must develop skills, so that's not an implication that Native authors have lesser skills. Native authors may, perhaps, because of many reasons, have less access to help to develop those skills). Historical fiction still has its place though. And I don't think that it's fair to say that a book by a white writer that is historical fiction is problematic without reading it. The Roanoke mystery is fascinating to people precisely because it is a mystery. No one knows what happened, so people enjoy thinking about it and imagining what might have happened. Does that make the book great literature? Not necessarily. Does it make the book something people are interested in, like the disappearance of Amelia Earhardt, or where Blackbeard's treasure is buried or any of several other mysteries that are seen repeatedly in fiction? Yes. There must be room for many voices. If a publisher has a choice between a well-written book about contemporary Native peoples by a Native author and a historical fiction novel about Native peoples by a white author, the publisher should probably pick the Native author, because that is a voice that is under-represented. But if a white author writes a well written historical fiction book that explores some important event or time, and there are no books on the topic by a Native author, the publisher might be well-advised to choose to publish the book by a non-Native author. Also, for publishers, it is mostly about the money. They are businesses, and they look at a book and try to decide whether it will sell and make them money. Sometimes, they choose silly lightweight books over better books because the silly one will sell. Sorry I went on for so long. I think about these issues a lot. This is Anonymous 2 back for one more comment. I now note that this book includes a ghost, and I understand that may be problematic. This is not strictly "historical fiction," so my comments are not quite on point. I do think it is important to know our past, so that we know how we got to our present and can move toward a better future. FYI, I have read an advanced copy of this book and there is not a Native ghost/spirit/presence. Unfortunately, I think you are unfairly pre-judging this book. I am 100% with you when you say that Native voices are hugely underrepresented, but I don't think it's fair to criticize a book you haven't actually read. As a previous poster stated, there is no Native ghost/spirit/presence in the book, which in fact does note how horribly the colonists treated the Native inhabitants of the Roanoke area. Your beef with the publishing houses is legitimate, but the implication that this book and this book's author is somehow perpetuating Native stereotypes is pretty unfair. As a long-time admirer of your blog, I have to say that I am disappointed to see you making such sweeping assumptions about a book without first reading it.